Tim Tszyu outside the iconic Sydney Opera House. IBF number 15 junior middleweight Tim Tszyu 12-0 (10) will challenge Australian 154-pound champion Joel Camilleri 17-5-1 (8) at the Star Casino in Sydney, Australia on May 15. Tszyu will be headlining his first Main Event pay-per-view. If the 24-year-old son of Hall of Famer Kostya Tszyu is successful, he says he wants to fight Dwight Ritchie and Michael Zerafa before targeting Jeff Horn. “Pressure is good,” Tszyu told FoxSports.com.au prior to the official announcement. “Without pressure, you’ve really got nothing that motivates you. A little bit of pressure is fine, I know how to deal with it. Tszyu recently returned from a trip to the United States where he kicked off his training camp sparring some of the best boxers in the world in Los Angeles and Las Vegas. But he says he wants to clear out his division domestically before chasing the big names overseas. 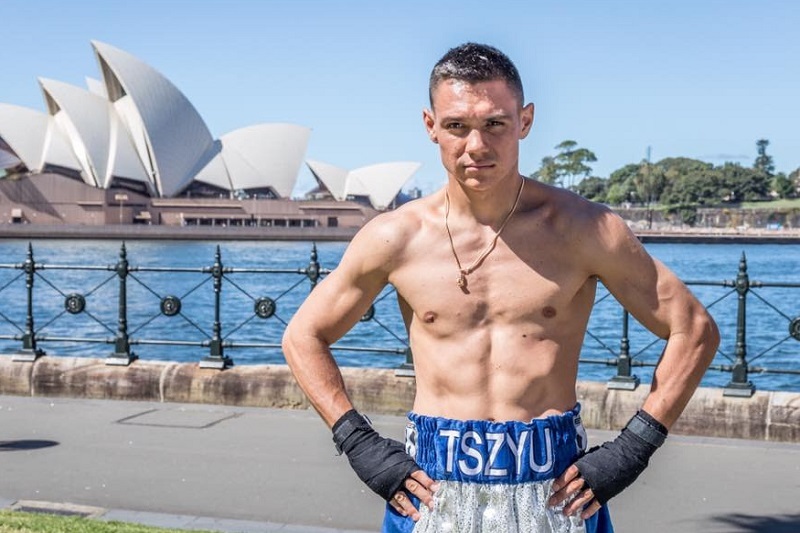 Tszyu isn’t expecting an easy night against Camilleri, who has never been stopped and has improved markedly since joining Sam Labruna’s stable. “He’s the Australian champion for a reason,” Tszyu said. “He’s a very good fighter. He’s got some good power, got some good movement.